Get your little trucker hauling heavy farm loads with the John Deere Dump Truck by Mega Bloks! Designed for your pint-sized preschool builder, the John Deere Dump Truck has a tilting bin with pronged tips to build or lug all kinds of blocks. 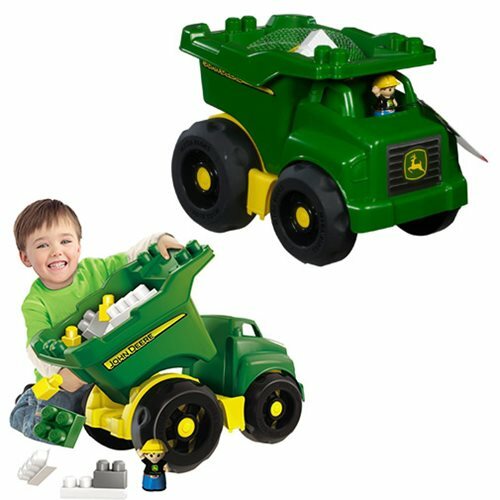 Your little trucker will discover lots of exciting ways to build and rebuild his acres of land with this versatile and imaginative John Deere toy. Mega Bloks John Deere Dump Truck includes 25 pieces. Ages 1-5.